The mysteries in the Detective by Day series are actually inspired by Hollywood crimes. Hollywood Homicide is loosely based on the Bling Ring. I just turned Day 2 into my editor and I used the Ronnie Chasen murder for inspiration. Chasen was a well-known “power publicist” who was killed in 2010 when leaving a party for a movie premiere. The police quickly called it a car jacking gone wrong and blamed an ex-con named Harold Smith, who conveniently killed himself before he could be arrested. Case closed, right? Not quite. This being Hollywood, conspiracy theories abound. There are too many to name here, but you can read more in this 2016 Hollywood Reporter article: What Really Happened the Night Hollywood Power Publicist Ronni Chasen Was Killed? I’ve always been fascinated by the silent film era. I started coming to L.A. in the 1980s on a regular basis to do celebrity interviews for women’s magazines and I’d tour the town to find the “dream palaces” of the silent stars. Most succumbed to tear-downs, but one in a less desirable part of town survived – the home of hapless actress, Mary Miles Minter. Minter had a massive crush on film director William Desmond Taylor. On the evening of February 1, 1922, Taylor was shot to death in his apartment, not far from Minter’s Hancock Park-adjacent home. While the crime is considered a cold case to this day, famed director King Vidor became obsessed with uncovering the murderer. His investigation is chronicled in the 1986 non-fiction book, “A Cast of Killers.” Vidor came to the conclusion that Taylor’s killer was Minter’s maniacally controlling stage mother, Charlotte Shelby. Shelby was originally a suspect but never charged due to a lack of evidence. The scandal killed Minter’s career and she eventually died a recluse in Santa Monica. But to this day, Hollywood historians debate whether Vidor was right, or the real killer got away with murder. To be honest, I never knew that much about Lana Turner. I was aware that she was gorgeous, the original “sweater girl,” and of course familiar with the famous story of her being discovered at a Schwab’s drugstore while drinking a Coke after skipping typing class. I also knew that my college roommate was named after her. But just this week (because I have apparently been living under a giant rock all these years) I learned that she was married 7 times and that her only child, Cheryl Crane, stabbed one of Lana’s boyfriends (an abusive gangster) to death with a carving knife at the age of 15. After a media-circus coroner’s inquest which concluded she was coming to her mother’s defense, no charges were brought, but Cheryl ended up in the care of the state for a few years. She grew up to become a realtor–and a mystery writer! In addition to a biography of Lana Turner and a book about her own life, she has authored three titles in a mystery series from Kensington featuring Nikki Harper (realtor-turned-amateur-sleuth-with-a-famous-Hollywood-mother). The titles are puns on Lana Turner’s real-life movies: The Bad Always Die Twice (2012), Imitation of Death (2013), and The Dead and the Beautiful (2014). I can’t give you her author website, as she seems a little social media shy. But after all that attention as a teenager, Cheryl Crane doesn’t need any more publicity. She just wants to write. When I think of L.A. murder mysteries, the one that immediately springs to mind is the Black Dahlia murder. It’s one of Hollywood’s oldest and most famous cold cases, dating all the way back to 1947. The victim was Elizabeth Short, a 22-year-old actress who had moved to Hollywood in search of stardom. The details of the case are pretty gruesome, so I won’t repeat them here, but there’s something poignant about a wannabe starlet who finds fame in such a film-noir fashion. Adding to the intrigue is the fact that a retired LAPD cop thinks he’s finally solved the case. The culprit? His father. The story of his investigation alone would make a great movie — except nobody would believe the ending. I’ve always been fascinated by publishing magnate William Randolph Hearst, and by actor Charlie Chaplin. The two are notoriously linked to the mysterious death of studio mogul Thomas Ince. (Mysterious deaths also fascinate me!) A possible solution about what happened to Ince aboard Hearst’s yacht in 1924 was put forth in the 2001 film The Cat’s Meow. In the movie version, Hearst, who believed Chaplin was having an affair with his mistress Marion Davies, shot Ince by mistake in a blind rage. Ince was removed from the yacht during the night, and no one onboard ever spoke of it. Did W.R. Hearst get away with murder in real life? Some smoking guns suggest he may have: Ince was injured or ill enough to be removed from the boat during the night in San Diego, however he wasn’t taken to a hospital, but to his home in Los Angeles. The D.A. never questioned Hearst’s guests; no autopsy was performed. And shortly after Ince’s death, Hearst signed gossip columnist Louella Parsons, who had been aboard the yacht at the time, to a lifetime contract with the Los Angeles Examiner. Readers, is there an unsolved murder (real or fictional) that particularly intrigues you? Let know in the comments below–extra points for a Hollywood setting! Tags: cozy mysteries, Ellen Byron, hollywood murder mysteries, Kellye Garrett, Lisa Q. Mathews, Marla Cooper, unsolved murders, Vickie Fee. Bookmark the permalink. Hmmm, I thought Crane went to trial, and it was rules justifiable. My fav? Actually unknown if murder or accident. Picture it. November 1981. Natalie Wood. Yacht. Drunk. Dingy. Drowned. Husband Robert Wagner and Christopher Walken were on board. They were drunk too. Could either of them done it? People do stupid things when drunk. And some actors think they are special, if you know what I mean. They think they can’t be touched. Case reopened 6 years ago? Walken isn’t a suspect, but Wagner is still looked at. I don’t think she was trying to get into a small boat. Unless she felt her life was in danger and was trying to run. That’s another theory i haven’t seen brought up. BTW, I am on edge about Hollywood Homocide coming out next week. Is it Wednesday already? YES! If I hadn’t been too swamped (we’re moving) to write my post this week, it was going to be about Natalie Wood. It has always haunted me. Hestia, I share your fear of heights! I can’t go near those floor to ceiling windows in office buildings. I almost faint. I had a fear of heights on top of Coit Tower in SF once and the park ranger had to help me down. And the Natalie Wood death is a true mystery. One that I think will never be solved. 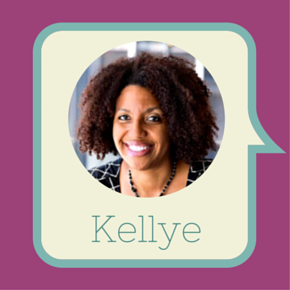 BTW, you don’t have to wait until Wednesday for Kellye’s book. It’s officially out on Tuesday! Tuesday? Yay! Preordered it. Can’t wait! Thanks to the Chicks and Hestia, I now have material for Day Books 3, 4, 5, 6, and 7! Such a fascinating case. It drives the mystery-writing side of me crazy that we will probably never know what happened. It’s not unsolved, but I always think of the Lana Turner/mobster boyfriend. Hallie Ephron used it as inspiration for NIGHT NIGHT, SLEEP TIGHT. Now I want to read that book! The Bob Crane (of Hogan’s Heroes fame) murder in Scottsdale, AZ in 1978 still remains unsolved. Ooooh, yes! That’s a good one, too! Damn, Hollywood is full of material! As much as I love mysteries, I like mine solved, so I don’t go around reading up on famous unsolved ones. I’ve heard of the ones most of you mentioned, but that’s about it. However, Lisa, the biggest mystery on my mind today is how I’d never heard of the books you mentioned. Ha! I hadn’t either, Mark. So many books, so little time! I haven’t read yet but they got great reviews!